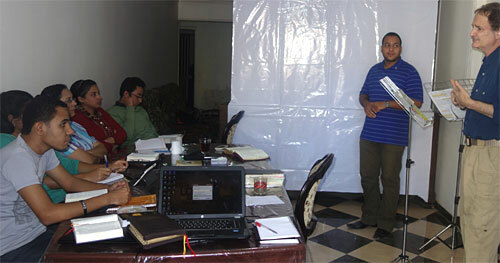 small cloud ministries is the preaching, teaching, writing, and prayer ministry of Ed Kleiman. Ed works with local churches throughout the United States and in Eastern Europe teaching and preaching on the purposes, priority, and power of prayer; God's design for the family involving the role of men; discipleship; and the call for missions. He also makes available to people a great many very helpful resources, many by heroes of the faith who have gone before, free of charge. "You cannot revive something that has never had life, so revival, by definition, is first of all an enlivening and quickening and awakening of lethargic, sleeping church members. Suddenly the power of the Spirit comes upon them... they are humbled, they are convicted of sin... then as a result of their quickening and enlivening, they begin to pray." 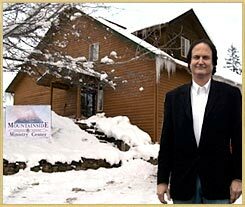 Sign up to receive email column: "Something to Think & PRAY About!" Today, as God's people once again unite in prayer for the glory of God and the advancement of Christ's kingdom, if you look carefully in places like South Korea, China, parts of Africa, and even in some pockets in the United States, and elsewhere, off in the distance a small cloud the size of a man's hand is rising again! 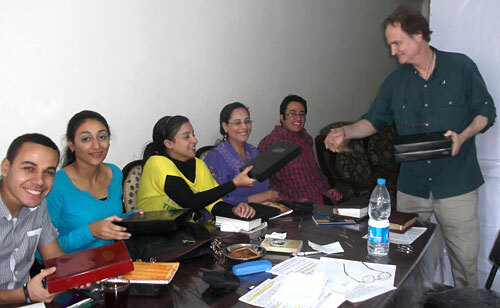 A remarkable response of the missionaries in Egypt when I gave them a good version of an Arabic bible of their own. 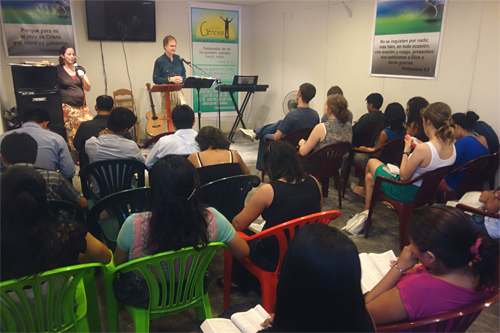 Ed in Iquitos, Peru preaching in 2013 while also teaching pastors, missionaries, and those in a new church plant. Please pray for that ongoing work there! Copyright ©2003-2017. Designed by Carolyn Hasenfratz, hosted by Webs Dot Com.